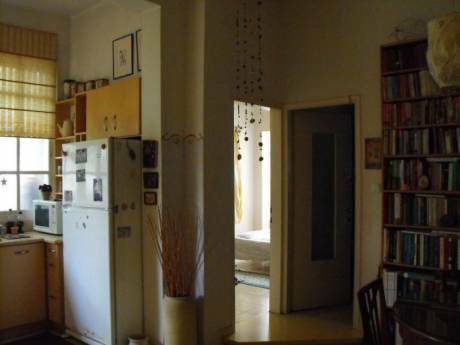 Our great, comfortable apartment is a family home with 3 bedrooms and a study. It has a large living room with a small extension which is a playroom. It has an open kitchen. It has 2 bathrooms, one usually used by the kids and guests, and one in the master bedroom. It has all the necessary amenities (dishwasher, dryer, etc). It has a wonderful balcony surrounded by trees. Este es un apartamento que fue comprado y condicionado para una de nuestras hijas, joven medica que despues de una breve estancia en Buenos Aires decidio retornar a Estados Unidos donde habia residido y estudiado. Tiene un valor afectivo muy especial. 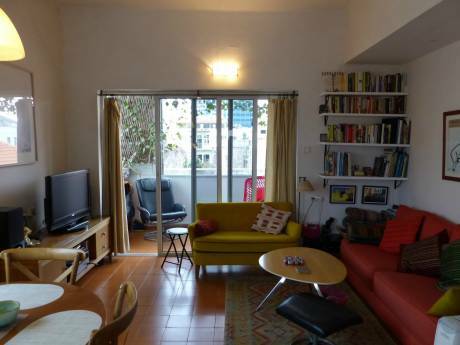 Our apartment is a 3 minute drive from Tel Aviv, located in a very nice part of Givatayim. It has a supermarket in front and a playground 30 meters away. 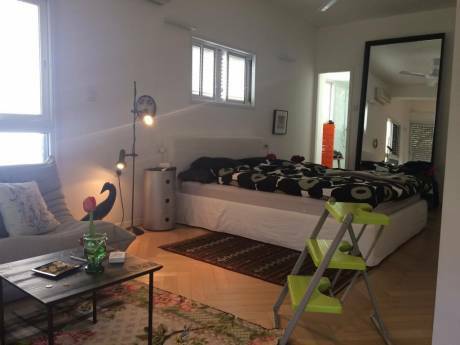 It is also close to the highway, for those interested in leaving the Tel Aviv area. It is a very family oriented neighborhood.